We've come a long way in roofing installation. Technology has made it possible to improve the methods for protecting our homes. The goal of any roof is performance. The materials used need to defend dwellings against harsh weather and climates to keep the foundation of the building healthy. What you choose to put on your roof will have an effect on energy consumption, durability, and lifespan. You'll want to choose wisely. We've put together a list of advanced roofing materials that will improve and safeguard your home. Solar paneling is a relatively new application for roofing systems. They were derived as an answer for reducing energy consumption. The benefits are both an improvement for the environment and our pockets. What's phenomenal is just how efficient these panels are at producing energy. Even in mild climates with average sun exposure, there is usually enough energy produced to generate enough electricity for a home of three children and two adults. Even without sunlight, solar panels can draw solar energy utilizing diffused sunlight to power a residential or commercial building. A solar power system produces clean, pure energy. Installation lends itself toward a reduction in gas emissions and forgoes dependency on fossil fuels. Even in the face of a drought, solar paneling can draw energy and continue to power a home adequately. A heat wave that dries up water stores puts electricity and gas at risk. Solar panels don't pull from these resources which means they are still capable of generating electricity. Additionally, you won't have to forgo on style. Modern technology has made it possible to create solar panels that are sleek in design and don't add bulk to your roof. 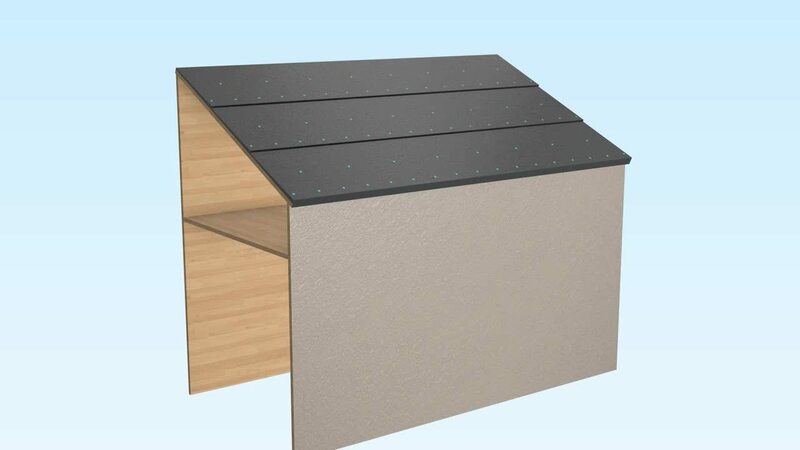 Some panels are available mimicking the structure of asphalt shingles. If you want to be environmentally friendly and install a beautifully modern roofing system solar paneling is an excellent choice. 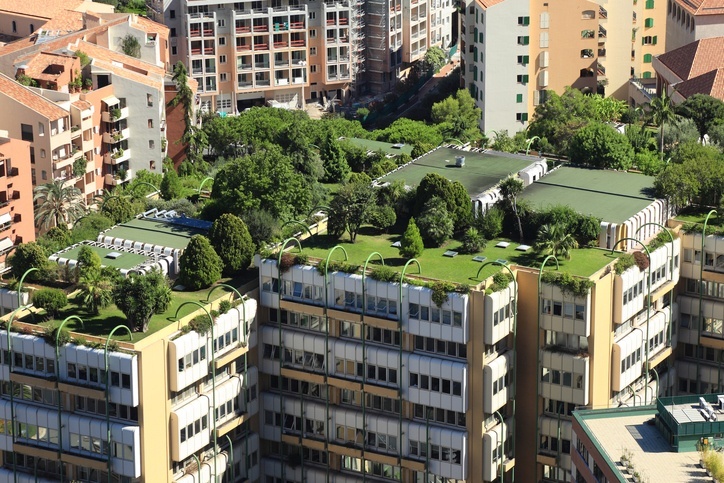 As our population expands and the access to green surfaces becomes limited, property owners are turning to an alternative roofing system to help maintain environmental quality. A green roof gives any building the opportunity to produce live vegetation and contribute to biodiversity. The concept is a little different than using "green" materials. Instead, it's based on the idea of turning a roof into a habitat for wildlife and positively impact the environment. The plants found in a green roof convert CO2 into oxygen and help purify the air. Plants naturally absorb sunlight which means buildings with a green roof will experience energy efficient heating and cooling. A couple of the major selling points for green roofs include drainage and extending the lifespan of your roofing materials. Improper drainage can lead to complications in the roofing system. A green roof will absorb rainwater and act as a buffer for the discharge. Water will naturally evaporate from the plants which mean building owners need to worry less about clogged drains. The installation of the plants includes the placement of rubber and other materials that will protect the original roof from sun, rain, wind, and temperature changes. It's possible to use this application process to double or triple the life-span. When it comes to design, the sky's the limit. As long as your roof can support the vegetation, you can create any kind of urban jungle. Some buildings go as far as to plant trees and bushes. You can grow fruit and vegetables. A layer of grass can turn your roof into an outdoor park. Flowers will add color. Your options are only limited by your creativity. Any operative structure deserves a protective barrier to keep damaging elements like wind, rain, and water from damaging the structure. 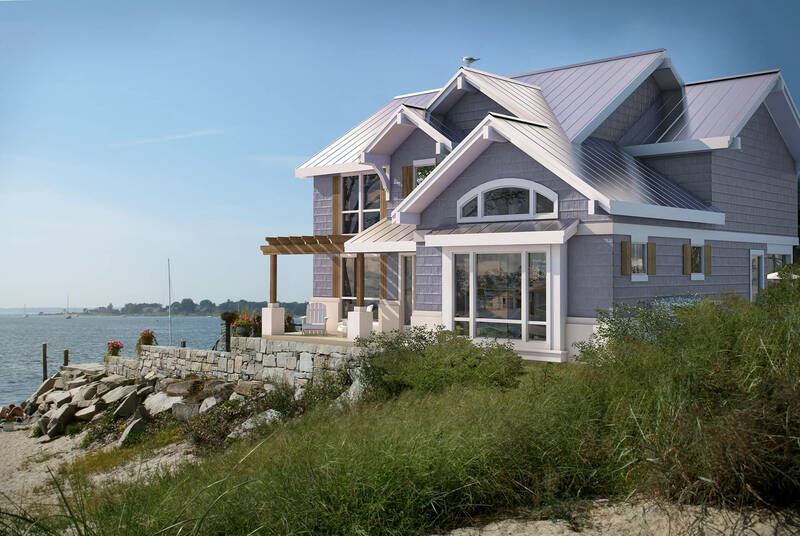 Metal roofing can withstand winds of 150 mph or more and can last upwards of 30 or more years. Metal is a sustainable resource and can be easily recycled to keep carbon footprints low. It's also an excellent conductor of energy reducing the amount of electricity to heat and cool a building comfortably. Traditional applications include long, crimped sheets that assist water drainage down and away from the building. Screws are used in most instances to secure paneling in place. The only problem is how they can contribute to roof leaks and damage. Applied too tight it can cause the rubber to tear and contribute to the washer drying out and cracking, too loose and a gap is created allowing water penetration. The StealthConnector® is a durable strapping installed across the decking. It's incredibly lightweight and acts as the foundation for the entire system. StealthBond® Adhesive is the structural adhesive that replaces the screws on a roofing panel. Traditional roofing systems are laden with fasteners that protrude from the metal paneling and look unsightly. The StealthBond® system forgoes the need for screws and utilizes an adhesive to secure the entire system in place. The end result is a clean, modern roof that doesn't compromise on style. Homeowners get all the performance benefits including the clean look as well as the trusted functionality. The result is a premium system that can withstand the harshest weather and temperatures. Because of the superiority against other metal roofing applications, StealthBond® is only installed by trained and authorized Dealers. Download our latest ebook to learn more about StealthBond® System.